The continuing popularity of NUI Galway was reflected by CAO offers issued today, with the vast majority of courses maintaining or increasing points from 2015. Across all five colleges, points have risen. Commerce (Global Experience), Biomedical Science, Biopharmaceutical Chemistry, Biomedical Engineering, Occupational Therapy, and Speech and Language Therapy, all require 500 points or more for entry. Arts (Psychology), Commerce (International) with French, with German and with Spanish, Commerce (Accounting), Financial Mathematics and Economics, and Mathematical Science, all finish in the high 400s. 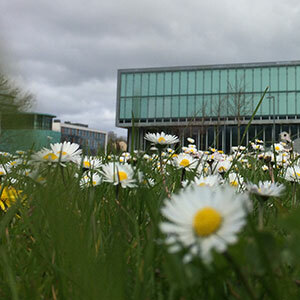 NUI Galway’s Admissions Officer, Stephen O’Dea, said: “For the fourth year running, NUI Galway’s courses in Commerce have seen a steady increase in their points indicating a continued growth in interest in these areas. International Commerce programmes continue to be a popular choice for students with a global outlook and the strong performance of the new Commerce (Global Experience) confirms this. This year to assist high-achieving, school leavers from Ireland’s newest communities, such as refugees, to achieve their third-level goals with NUI Galway a new national pilot scheme have been put in place. Four students will be offered places as part of NUI Galway’s new merit-based Inclusive Centenaries Scholarship Scheme. 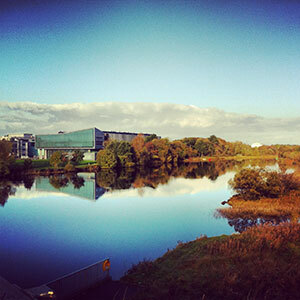 Students have until Friday, 2 September to apply and can visit www.nuigalway.ie/scholarships for details. With NUI Galway anticipating an intake of over 3,000 new students in September, a hotline is in place for students, parents and teachers. The First Year Student Hotline number is 091 493999 or visit http://www.nuigalway.ie/startinguniversity/ . The hotline will be available from Monday to Friday, 9am to 6pm, and on Saturday, 27 August from 9am to 1pm. 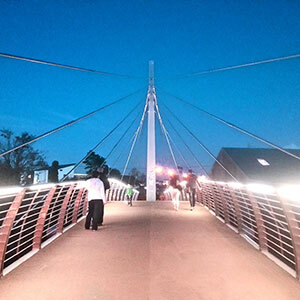 Prospective students have shown particular interest in Commerce programmes, especially those with an international focus, reflecting awareness of the need for language mobility in the global jobs market. 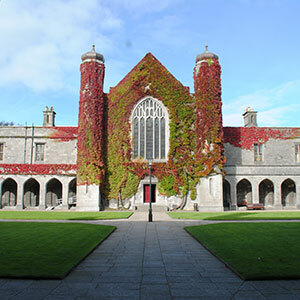 NUI Galway’s three International Commerce programmes (French German, and Spanish) all reached 480 points and NUI Galway’s new programme Commerce (Global Experience) is particularly popular, opening with a points requirement of 500. For the first year, Shannon College of Hotel Management’s course offerings fall within NUI Galway’s programme portfolio, with both Business Studies in International Hotel Management and Commerce in International Hotel Management showing points increases. Biomedical Engineering reached 500 points for the first time. Computer Science and Information Technology remains popular, maintaining its 2015 points requirement of 425, as do Business Information Systems (430 points) and Commerce (Accounting) (460 points). The popularity of NUI Galway’s two Law programmes continues with Corporate Law ending on 385 points and Civil Law on 435 points. Demand for Science courses has increased, with entry to Bachelor of Science Programme up 10 points to 400. 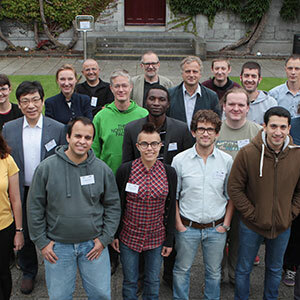 Recognising NUI Galway’s national and international leadership in Biosciences, Biomedical Science remains at 530 point, the University’s second highest points programme. Biopharmaceutical Chemistry remains at 500 points, while Biotechnology finished at 440. Entry onto the medical programme requires 723 points (including HPAT), the same as 2015, and General Nursing finished at 445, Psychiatric Nursing at 415 and Midwifery at 440. 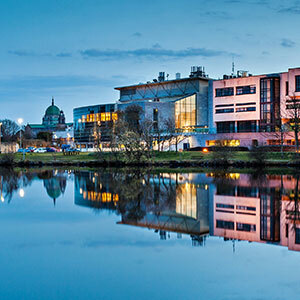 Both of NUI Galway’s Therapy programmes, Occupational and Speech and Language finished at 530 points. In Arts, NUI Galway’s popular Creative Writing degree continues to attract a great deal of interest with the points increasing by 20 to 445. Arts (Mathematics and Education) has increased in demand with a 25 point rise to 435 and NUI Galway’s new Arts Degree (Children’s Studies) opens at 350 points. Ba léir ó na tairiscintí a rinne an CAO inniu go bhfuil an-éileamh ar OÉ Gaillimh arís i mbliana. Tá líon na bpointí atá de dhíth ar fhormhór mór na gcúrsaí gan athrú nó ardaithe ó 2015. D'ardaigh líon na bpointí atá ag teastáil chun cúrsaí a dhéanamh i gcúig choláiste na hOllscoile. Tá 500 pointe nó níos mó ag teastáil chun áit a fháil sa Tráchtáil (Taithí Idirnáisiúnta), an Eolaíocht Bhithleighis, an Cheimic Bhithchógaisíochta, an Innealtóireacht Bhithleighis, an Teiripe Shaothair agus an Teiripe Urlabhra agus Teanga. Tá níos mó ná 400 pointe ag teastáil i gcás cúrsaí sna Dána (an tSíceolaíocht), an Tráchtáil (Idirnáisiúnta) le Fraincis, Gearmáinis nó Spáinnis, an Tráchtáil (Cuntasaíocht), Matamaitic an Airgeadais agus Eacnamaíocht agus Eolaíochtaí Matamaiticiúla. Tabharfaidh OÉ Gaillimh áit do cheathrar mac léinn mar chuid den Scéim nua Scoláireachtaí Uileghabhálacha Comórtha Céad Bliain a bhronnfar ar bhonn fiúntais i mbliana. Cabhróidh an scéim phíolótach náisiúnta seo le daoine sárchumasacha atá ag fágáil na meánscoile agus arb as nua-phobail na hÉireann iad (teifigh, mar shampla) oideachas tríú leibhéal a bhaint amach in OÉ Gaillimh. Beidh go dtí Dé hAoine, an 2 Meán Fómhair ag mic léinn chun iarratas a dhéanamh agus tá tuilleadh eolais ar fáil ag www.nuigalway.ie/scholarships. Dúirt Oifigeach Iontrála OÉ Gaillimh, Stephen O’Dea: “Siod é an ceathrú bliain as a chéile a tháinig ardú ar líon na bpointí atá de dhíth chun cúrsaí Tráchtála a dhéanamh in OÉ Gaillimh, rud a léiríonn go bhfuil an tsuim sna cúrsaí seo ag méadú léi. Is iomaí mac léinn a bhfuil spéis acu ina bhfuil ag tarlú sa domhan mór a roghnaíonn an cúrsa Tráchtála Idirnáisiúnta agus léiríonn an chaoi ar éirigh leis an gcúrsa nua sa Tráchtáil (Taithí Idirnáisiúnta) sin. Léiríonn an t-ardú ar na pointí don chlár Innealtóireachta Neamhainmnithe i mbliana go dtuigeann mic léinn an fiúntas atá le céim Innealtóireachta a dhéanamh in OÉ Gaillimh, go háirithe i bhfianaise mhargadh iomaíoch fostaíochta an lae inniu. Is léiriú ar láidreacht agus ar cháil OÉ Gaillimh san eolaíocht bhitheach an tóir atá i gcónaí ar an Eolaíocht Bhithleighis (530 pointe) agus ar an gCeimic Bhithchógaisíochta (500 pointe). Tá suim á cur sa chúrsa Matamaitic an Airgeadais agus Eacnamaíocht go leanúnach agus tá 485 pointe de dhíth chun áit a fháil ar an gcúrsa. Léiríonn sé seo go bhfuil an muinín atá ag daoine sa gheilleagar náisiúnta agus idirnáisiúnta agus as na margaí airgeadais ag fás agus go bhfuiltear ag súil go mbeidh deiseanna fostaíochta sna réimsí sin in Éirinn agus thar sáile." Mar fhocal scoir, bhí an méid seo le rá aige: Bainfidh mic léinn tairbhe as an gclár suntasach leanúnach infheistíochta caipitil in OÉ Gaillimh a chuireann ar chumas na foirne agus na mac léinn aghaidh a thabhairt ar nuálaíocht, ar fhiontraíocht agus ar thaighde. Is pobal ilghnéitheach in OÉ Gaillimh agus tá áthas orainn scoláireachtaí a chur ar fáil i mbliana chun cabhrú le baill phobail nua na hÉireann chun barr a gcumais a bhaint amach." Tá OÉ Gaillimh ag súil go mbeidh 3,000 mac léinn nua ag teacht chuici i Mí Mheán Fómhair agus tá beolíne ar fáil do mhic léinn, tuismitheoirí agus múinteoirí. 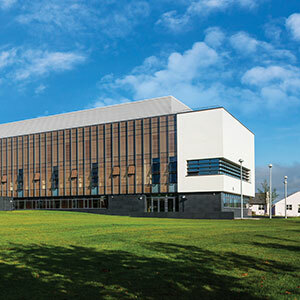 Is í uimhir Bheolíne Mhic Léinn na Chéad Bhliana 091 493999 nó téigh chuig http://www.nuigalway.ie/new-students/. Beidh an bheolíne ar fáil ó Luan go hAoine, ó 9am go dtí 6pm agus ar an Satharn, an 27 Lúnasa, ó 9am go dtí 1pm. Léirigh mic léinn nua suim ar leith sna cláir Tráchtála, go háirithe na cláir a bhfuil gné idirnáisiúnta ag baint leo, rud a thaispeánann go dtuigeann an pobal mór an tábhacht a bhaineann leis an ilteangachas sa mhargadh domhanda fostaíochta. Bhain na Cláir Tráchtála Idirnáisiúnta (Fraincis, Gearmáinis agus Spáinnis) a chuireann OÉ Gaillimh ar fáil 480 pointe amach agus bhí an-tóir ar an gclár nua sa Tráchtáil (Taithí Idirnáisiúnta) agus tá 500 pointe de dhíth chun áit a fháil air. Tá cúrsaí Choláiste Ósta na Sionna i measc na gcúrsaí atá luaite le OÉ Gaillimh den chéad uair i mbliana agus tháinig ardú ar líon na bpointí atá ag teastáil don Staidéar Gnó sa Bhainistíocht Óstáin Idirnáisiúnta agus don Tráchtáil sa Bhainistíocht Óstáin Idirnáisiúnta. D'ardaigh líon na bpointí atá ag teastáil chun áit a fháil ar an gcúrsa Innealtóireachta Neamhainmnithe go 445 i mbliana, rud a léiríonn an tsuim atá ag daoine ar fud na tíre sa réimse seo agus bhain an Innealtóireacht Bhithleighis 500 pointe amach den chéad uair riamh. Tá éileamh ar an Eolaíocht Ríomhaireachta agus Teicneolaíocht na Faisnéise go fóill agus tá 425 pointe de dhíth chun áit a fháil ar na cúrsaí sin agus is amhlaidh atá sé do Chórais Faisnéise Gnó (430 pointe) agus don Tráchtáil (Cuntasaíocht) (460 pointe). Tá an-tóir ar chláir Dlí OÉ Gaillimh agus tá 385 pointe de dhíth chun an Dlí Corparáideach a dhéanamh agus 435 i gcás an Dlí Shibhialta. Mhéadaigh an t-éileamh ar chúrsaí Eolaíochta agus tá 400 pointe de dhíth chun áit a fháil orthu, méadú 10 bpointe. Ní haon ionadh gurb é an cúrsa Eolaíochta Bithleighis an dara cúrsa is mó a bhfuil pointí ag dul leis (530 pointe) toisc go bhfuil OÉ Gaillimh go mór chun cinn i réimse na nEolaíochtaí Bitheacha go náisiúnta agus go hidirnáisiúnta. Tá 500 pointe de dhíth chun áit a fháil sa Cheimic Bhithchógaisíochta agus 440 i gcás na Biteicneolaíochta. Tá 723 pointe (HPAT san áireamh) ag teastáil chun áit a fháil ar an gclár Leighis, mar a bhí in 2015, agus 445 de dhíth chun an tAltranas Ginearálta a dhéanamh, 415 don Altranas Síciatrach agus 440 don Chnáimhseachas. Tá 530 pointe de dhíth chun áit a fháil ar an dá chlár teiripe a chuireann OÉ Gaillimh ar fáil, an Teiripe Shaothair agus an Teiripe Urlabhra agus Teanga. Maidir leis na Dána, cuireadh an-suim sa chéim sa Scríbhneoireacht Cruthaitheach. Tháinig ardú 20 pointe air agus 445 de dhíth chun áit a fháil ar an gclár. Tháinig ardú 25 pointe ar an gcúrsa sna Dána (Matamaitic agus Oideachas) agus tá 435 ag teastáil chun áit a fháil air agus tá 350 pointe de dhíth i gcás na céime nua sna Dána (Staidéar Leanaí).